The Weekly | Nicholas Hoffman & Co. This past month I cancelled my cable TV subscription and switched my internet service to another provider in search of a more reliable signal. I had experienced one too many outages, and the backlog of requests for technical assistance meant it often took two weeks before a technician came to repair our connection. To make matters worse, I was billed for the periods of time that my service was out. Calls to the billing department for correction lasted nearly an hour and involved braving the “robo” customer service line and elevator-reminiscent hold music. I began to realize that with all the affordable streaming options available today, there had to be a combination that could replace my cable package, and the headaches of dealing with a major cable provider. When I first learned about Netflix 8 years ago, I felt that the streaming service would be well worth the $10 monthly fee given the thousands of TV and movies options that were available on-demand and commercial free. Since then, with new entrants like Hulu, YouTube TV, Amazon Fire, and Roku, I now spend a greater amount of time viewing streamed content than I do watching cable. This shift has caused me to wonder how could I continue to justify paying nearly $140 a month for 800 channels of television, of which only 10 or so would ever be viewed? It appears that I am not the only one asking this question. According to Deloitte’s 2018 Digital Media Trends Survey, the percentage of households with a paid streaming subscription has increased from 10% to over 55% during the last 9 years. The average subscriber now uses a combination of three different streaming services. During the same period, use of pay TV on cable dropped below 63% of US households from 75%. With the high-speed data now available through cellular networks, consumers can stream their favorite content on their phones and tablets almost anywhere, without having to pay for excess channels or bundled services that they do not want or need. 56% of the remaining long-suffering cable TV subscribers report only keeping their service because it is bundled with their internet access. With the expected roll-out of 5G network connectivity over the next few years I find it hard to imagine a future where the box under your TV is connected to a coaxial cable rather than a wireless network. In the past I had never considered giving up my ability to surf channels. The alternative streaming services had so many content gaps when compared to legacy cable packages that I would never have viewed them as anything other than complementary. However, with each day that passes it seems that more of these gaps are being filled, and unless cable packages evolve or begin to compete aggressively, we will see more people deciding that now is the time to cut the cord. 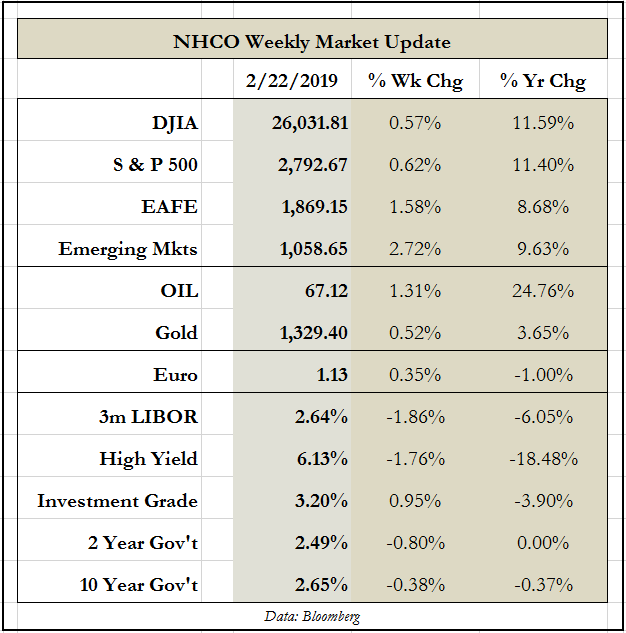 This entry was posted in The Weekly and tagged cable, expenses, streaming, weekly on February 25, 2019 by nhoffmanandco.